Hobie Forums • View topic - WildCat on foils? Post subject: WildCat on foils? Just a question out of interest: has anyone tried to install foiling daggerboards and/or rudderblades on a Wildcat? 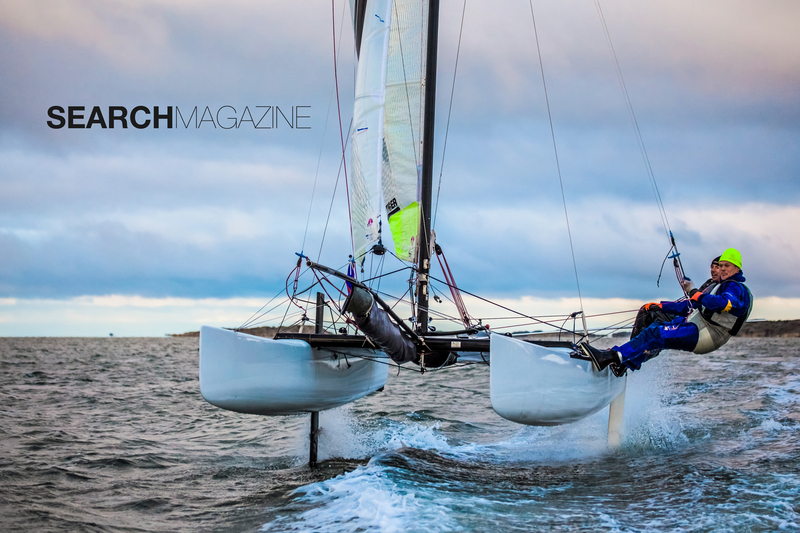 Foiling seems to be the big thing and at least two "standard design" catamarans have been upgraded with foils (Phantom -> Flying Phantom and Nacra 20) next to a number of A-Class catamarans. And then there's the Whisper, S9, GC32 and all the other foiling cats that you can buy. I don't think that it's for me (being EXACTLY the age, heigth and weight of Jack Reacher in the books - not in the films), but we just had some sort of "season's end beer" in the club, and nearly everybody said "next boat will be on foils" or "I'll upgrade my boat to foils one day". Has Hobie looked into that, or has some weirdo scientist (huge spectacles, wild hair and all) come up with home-grown foils ? Post subject: Re: WildCat on foils? But the results were less than ideal. Problems with any F18 are going to be weight and structural integrity. They're not designed to foil. Is that photoshopped? There seems to be no port daggerboard and no starboard rudder. And the port rudder looks way too big. eventually the rudder foil broke but the boat continued to fly. After 30 minutes of sweet flying around feeling like the Kiwis the daggerboard foil broke as well and the fun was over.